Thanks again for those who attended the ESL sessions on 27 October. I hope I can speak for everyone when I say each of you did a great job with the phonics lesson. For those who are new to these ESL sessions, I usually like to say that the "science" of learning phonics is both quite complex and yet simple. How do we reconcile this apparent paradox? The best analogy is probably that learning phonics is like learning how to ride a bike. There are many things you need to remember, many adjustments you need to make before you get comfortable. But when it finally happens, you just know that it feels right (and you know it when you don't fall down!). In a similar way, when children become comfortable with phonics, it just sounds right to them. An important aspect of phonics are the occurence of sound–letter correspondences. These are the relationships between sounds (ie, "phonemes") and letters (ie, "graphemes"). 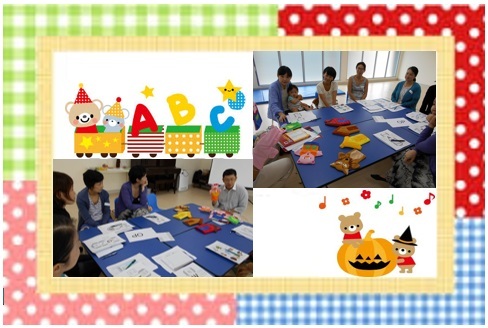 This is the starting point for children - they begin to associate sounds to letters. Knowledge of sound–letter relationships means knowing, for example, that the /t/ sound is represented by the letter t. It also means knowing that the sound /s/ can be represented by more than one letter, for example, s as in "soft" and c as in "city". For those who attended, each of you did phenomenally well with your pronunciation and vocabulary. Indeed it was an intense practice session for everyone but time really flew by quickly on that day because everyone was working hard and doing so well. For those who have never attended before but would like to attend in the future, please contact us for more information about future classes. Thanks again and hope to see people again in the next ESL session in December.